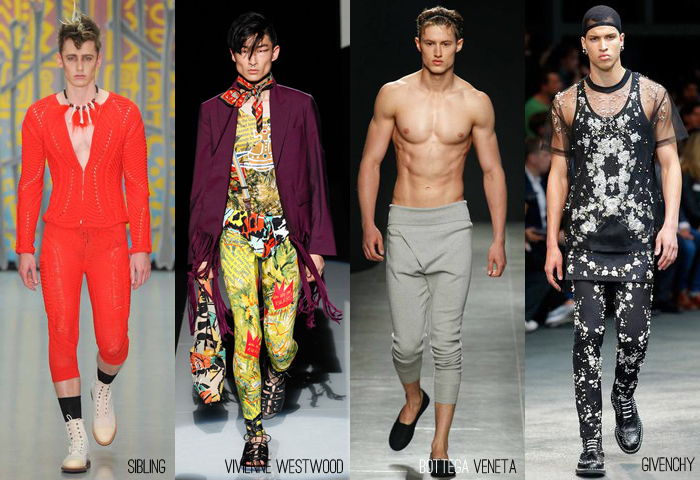 Leggings continued for Spring 2015 on the runway. 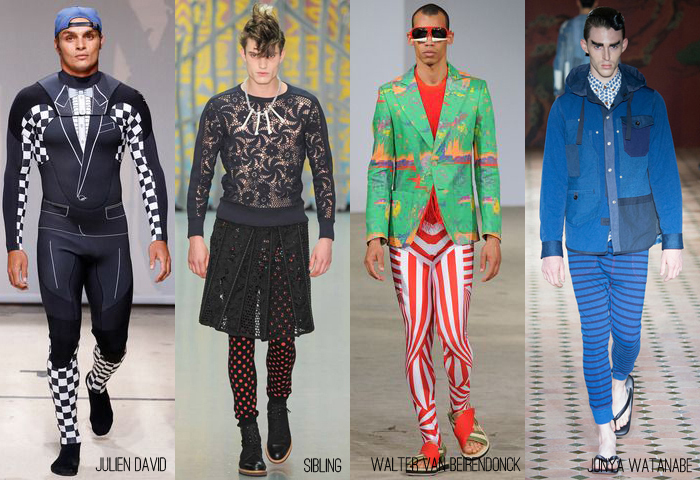 It’s part of an athletic trend and gives men more choices in pants to be worn under a tunic, sport jacket, or on their own. Men have legs too and why should women be the only ones to show them off.